Being an multi-use brake pad, the Z-type can be for street-use to circuit-use. Consistent braking even when the brakes are cold, something that is a must for street-use brake pads. Also helps for a longer discs life. Stable braking power and high fade resistance even at high brake temperatures of race circuit usage. Decelerating G= 0.5G, fixed temperature=200°C. The friction co-efficiency is measured at different speeds. When the friction co-efficiency varied, the efficiency would be different at low speed or high speed, and the pads then become hard to deal with. Obviously it has to work while braking from a high speed, not only from a low speed. On the other hand, if it works too efficiently at a high speed, it is extremely dangerous because the tires will lock up too easily. The Z type is more effective than OEM products or other after-market products at any speed range. Refrain from driving on the race track using OEM pads. Braking at the approach to a hairpin curve is measured at speeds over 200 Km/h. It represents the performance/efficacy difference by the deceleration G.
The friction co-efficiency is measured at 0.3G (light braking), 0.55G (strong braking) and 0.8G (very strong braking) at the fixed speed of 50km/h and 150km/h respectably. The data shown in the chart shows the friction co-efficiency variation range at 0.3G against 0.55G and at 0.8G against 0.55G. 100% is ideal. The Z type is close to 100%. OEM products are not so good at strong braking. The materials that company B provided had a big change in braking at high speeds. They were tested at the speed of 100 km/h, with a fixed pad temperature of 200°C, and with changes in deceleration G.
The change of efficacy is evaluated when they are brand new and after the fourth test. 100% is ideal. When the value worsened extremely, it means their performance gets lower, for example, the friction co-efficiency drops between first and second session/practice of circuit track driving. OEM products and materials that company B provided cannot be as effective as its original performance once they get to a high temperature. 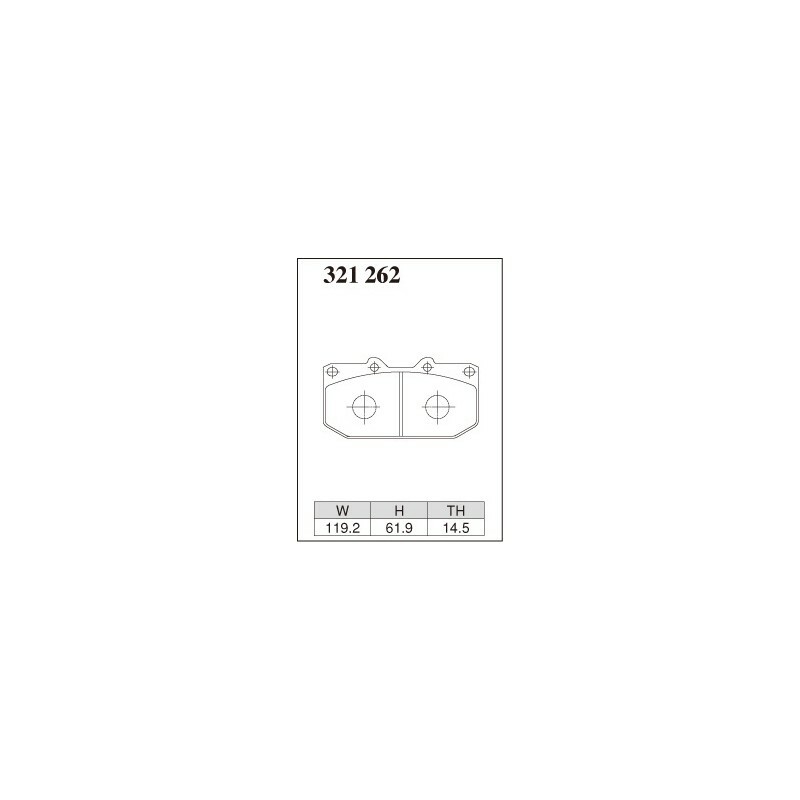 Today, there is a wide range of demands for sport brake pads. Many drivers are choosing brake pads that offer optimal performance on the street and race circuit. The demand is for a brake pad that is usually used on the street and can be occasionally used at the race circuit. These drivers are using high performance radial tires not the racing tires the frequent race circuit drivers use. If racing brake pads are used, it may not provide the optimal temperature range, decrease disc life, and unable to provide the right balance between tire grip and brake performance. The development concept of the Z-type brake pad is a high performance brake pad for street-use. For the testing, cars like Subaru Impreza WRX, Mitsubishi Lancer EVO, BMW M3, and Porsche Cayman S were used with high performance radial tires. The pads went through extended road trials on the street followed by rigorous testing on the race circuit. On the street, the brake pads were able to offer consistent brake feel even at low temperatures, and achieved low brake noise and longer disc life. On the race circuit, there was no decrease in braking power, and offered superior stopping power. 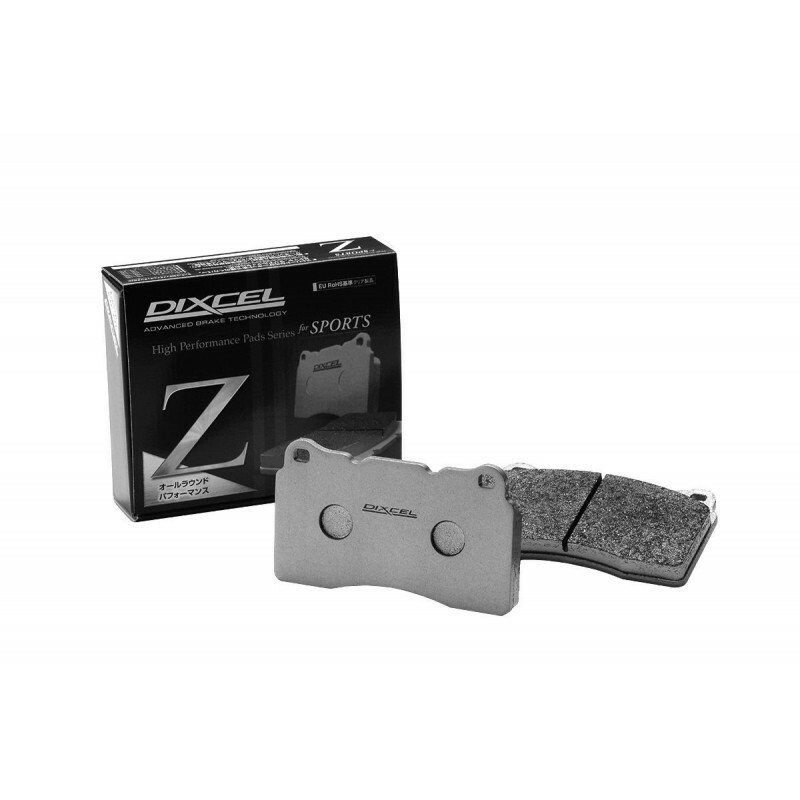 The DIXCEL Z-type is for users who want race-circuit quality brake pads without having to sacrifice regular street-use performance. This brake pad was developed as an answer to such demands. Race circuit testing was done mainly at Okayama International Race Circuit and Fuji Speedway. The cars had little modification and were fitted with high performance radial tires.